Singapore, April 7: Tech giants have reacted with horror after Singapore proposed laws against "fake news" allowing authorities to order the removal of content and impose hefty fines, in what critics say is an assault on free speech. 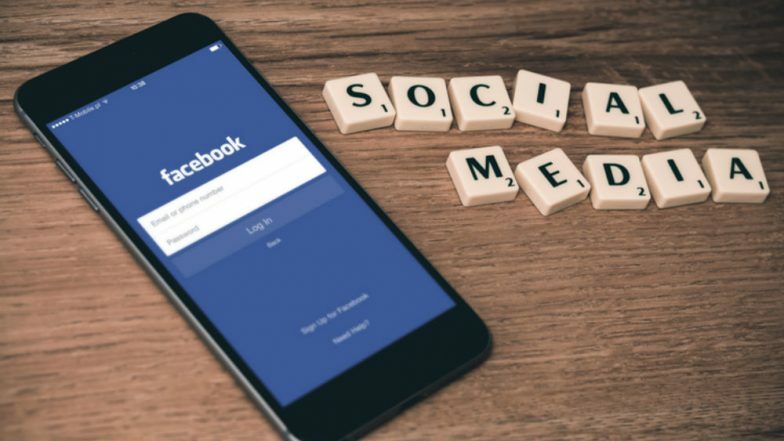 The government unveiled a bill last week containing tough measures, including powers for ministers to order social media sites like Facebook to put warnings next to posts authorities believe to be false and in extreme cases take them down. If an action is deemed malicious and damaging to Singapore's interests, companies could be hit with fines of up to USD 740,000. Individuals could face jail terms of up to 10 years. Authorities in the tightly-controlled country -- long criticised for restricting civil liberties -- insist the measures are necessary to stop the circulation of falsehoods which could sow divisions in the multi-ethnic city-state. Russian President Vladimir Putin Signs Laws on Curbing Fake, Offensive News. But press freedom groups condemned the proposals, saying they could stifle online discussion, as did tech companies which have big investments in the ultra-modern city. "As the most far-reaching legislation of its kind to date, this level of overreach poses significant risks to freedom of expression and speech," said the Asia Internet Coalition, an industry association whose members include Facebook, Google and Twitter. Simon Milner, Facebook's vice president of public policy in Asia-Pacific, said the social media giant was concerned about potentially being compelled to remove content. "Giving people a place to express themselves freely and safely is important to us and we have a responsibility to handle any government request to remove alleged misinformation carefully and thoughtfully," he said in a statement. The internet is a relatively free space in Singapore and there are some local alternative news sites, which are typically more critical of the authorities than the traditional, pro-government newspapers and TV. Singapore is among several countries pushing legislation to fight fake news, and the government stressed ordering "corrections" to be placed alongside falsehoods would be the primary response, rather than jail or fines. A government decision can also be appealed to the courts. K. Shanmugam, law and home affairs minister, said in a Facebook post that "the proposed law targets false statements of fact -- not opinions, not criticisms. "Ultimately, disagreement over truth and falsity will be decided by the courts". Google, Facebook and Twitter have their Asia headquarters in Singapore, a city of 5.6 million which is popular with expats as it is developed, safe and efficient. But there were already signs of tensions with tech companies as the government prepared to unveil the laws. During parliamentary hearings last year about tackling online falsehoods, Google and Facebook urged the government not to introduce new laws. In November, Facebook refused a request to remove an article linking Singapore to a financial scandal in Malaysia which the government said was untrue -- prompting the law ministry to say the firm "cannot be relied upon to filter falsehoods". Critics say one of the most worrying aspects of the new legislation is that it is up to authorities to decide what is false and what is not. While authorities insist decisions can be appealed, Kirsten Han, the Singapore-based editor of regional news site New Naratif, said most people do not have the resources or will to fight the government. "Even if you are convinced that your Facebook post is in the right, how many average Singaporeans would appeal to the minister, and then spend thousands of dollars to hire a lawyer and file an application in the court?" she told AFP. Human Rights Watch has described the bill as "sweepingly broad" while critics note Singapore already has tough laws against sedition, defamation and disturbing racial harmony, that can be used to police the web. But it is not yet clear how the legislation -- which is likely to pass easily through the ruling party-dominated parliament -- will be used in practice, and some believe authorities will wield it cautiously. "I think that the government will be very careful in their implementation of the law," said Professor Ang Peng Hwa, from the Wee Kim Wee School of Communication and Information in Singapore. "I think, in general, there's a very high level of trust in the government and its institutions by foreign entities, and so I don't see them... being too trigger-happy about the implementation of this bill."